I served a hawaiian inspired meal to all our friends, using pineapple as a main ingredient. For dessert, I had a candy bar with neon candy dots and lemon heads. I made tie-dye cupcakes, bright krispy treats made out of fruity pebbles, and I scooped fresh pineapple with a melon baller and dipped them like cake-pops into melted candy coating. I found a ton of neon goodies at the dollar store. Neon play-doh, neon water balloons… So I set up a play-doh station for the kids and we had a giant water balloon battle between the grown-ups and the kids at the end of the party. Keeping cool with a water balloon fight in the August heat will definitely become a birthday tradition!! 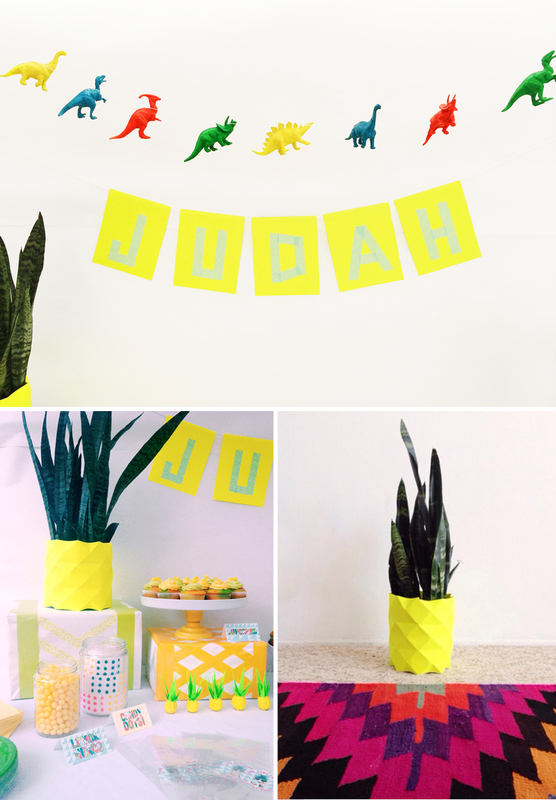 Follow me on instagram + twitter for more DIY projects & inspiration! 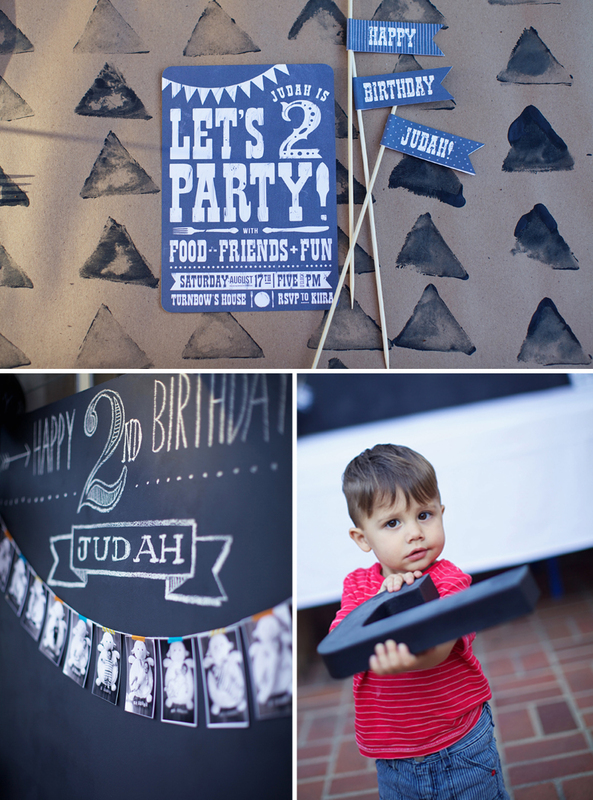 This party was a bit of a last minute idea born out of a can of chalkboard paint and a large piece of wood. My son’s 2nd birthday was quickly approaching, and I knew that I wanted to do a southern style bbq, but since it was mostly our adult friends, I wasn’t sure what style I should go with. I wanted something classic, simple but dramatic, with a lot of personal details and photos of my son’s first two years. I went with black and white, it’s the two colors that always go well together. 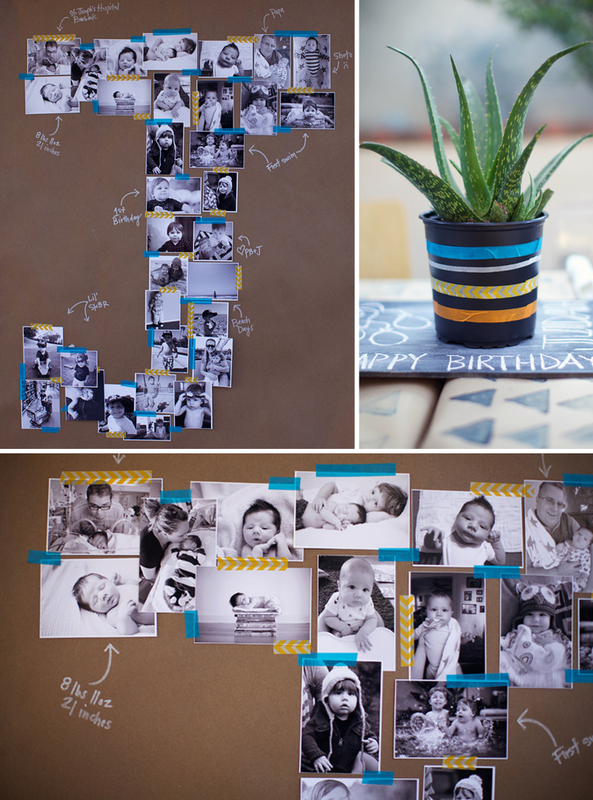 I painted a large piece of wood with black chalkboard paint as the table backdrop, and I printed a garland of black and white photos as a timeline of my little guy’s life from birth through 2 years. Instead of tablecloths, I lined the tables with brown builder’s paper, and used a sliced potato to stamp a triangle pattern on it. Check out the DIY here. 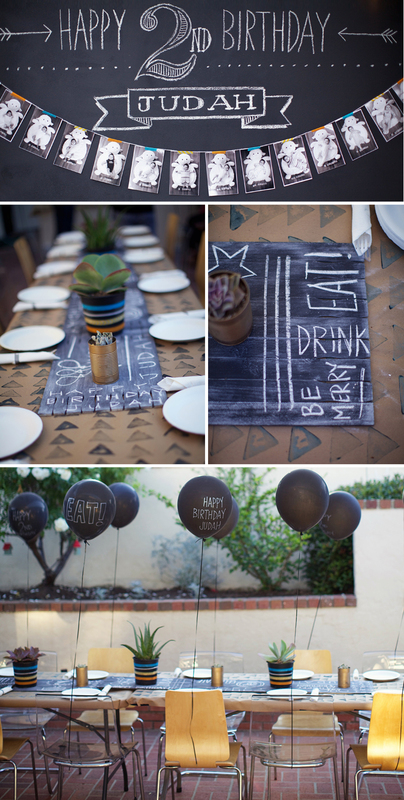 As table runners, I glued paint sticks together and painted them with the same chalkboard paint. 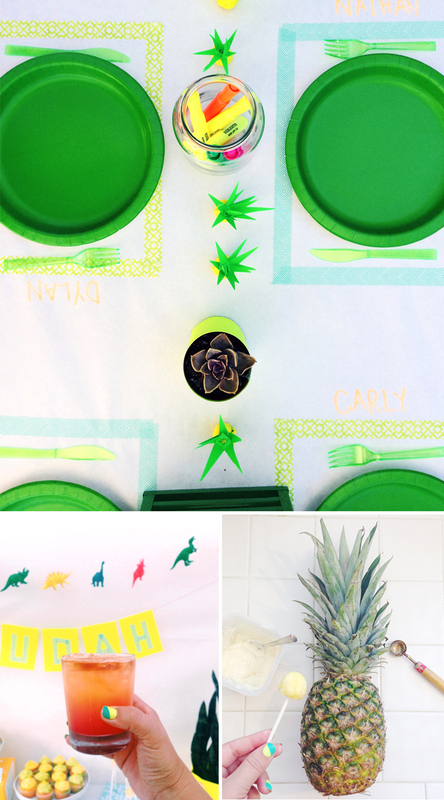 I wrote fun little messages along the table runners, drawings of balloons, stars, birthday cake. This was a quick and easy party concept to execute. It would work for an anniversary party, adult birthday, or even just a classic barbecue. Enjoy! I don’t say this lightly, these are by far the best cookies you will ever taste. As someone who doesn’t like chocolate (jaws drop in astonishment and people are constantly trying to convince me that maybe I’ve never HAD good chocolate, or maybe I just don’t like MILK chocolate… No people, I literally hate ALL chocolate.) So I have never been able to appreciate that craving one can get for a moist, chewy, delicious cookie. To me, a cookie is a cookie, no big deal. Until I made these for the first time. Then I finally understood the danger of keeping butter, flour & sugar stocked in my pantry. Set oven to 350 degrees. Beat together the butter, sugar & brown sugar with an electric mixer until fluffy. Mix in the caramel sauce & the vanilla. Add the eggs one at a time & mix until combined. In a different bowl, mix together the flour, salt and baking soda. Slowly add flour mixture to your wet ingredients, blending until combined. With a spatula, gently fold in the white chocolate chips & caramel bits. Keep dough cool in the fridge until you’re ready to bake. Scoop a spoonful of cold dough & roll into a ball. Place on a parchment paper lined baking sheet. Sprinkle with a pinch of sea salt. Bake for 12-15 minutes or until golden around edges. Remove and let cool for 5 minutes then transfer to wire rack. You could easily modify this by adding chocolate chips instead of white chocolate, or even some broken up salted pretzel pieces might be tasty! I made these strawberry ice cream sandwiches for a baby shower I hosted recently. I’m not a big chocolate lover (in fact, I hate chocolate) so I adapted this recipe to be non-chocolate and full of color. In a microwave safe bowl, melt together butter with brown sugar and granulated sugar. Stir in the vanilla, salt and milk. Stir in the flour until smooth. Line a large cookie sheet (or jelly roll pan) with parchment paper, extending past the edges. (this is so you can lift the flattened dough out once it’s frozen). Spray the parchment paper with nonstick spray. Press the dough into the pan on the parchment paper. Smooth it out to be as flat as you can, then sprinkle with colored sprinkles (the more the merrier!) Freeze for at least an hour. Meanwhile, take your strawberry ice cream out to get softened so it’s easier to spread. After an hour, remove the frozen cookie dough. Cut it down the middle to create two large rectangles of cookie dough. Lift one of them out of the pan. Flip the other one around so the sprinkles face down on the parchment paper. Spread the softened ice cream on top in an even layer. Place second cookie dough layer on top, with sprinkles side up. Put back in the freezer for about an hour. Remove and slice into squares. Tip: to keep the sandwiches from sticking when I stacked them, I cut long strips of parchment paper to wrap them up in. How cute are these little “edamame” jelly bean pouches? This was such an easy DIY. All you need is a pound of green jelly bellies, some glassine treat bags (which I bought at Michael’s crafts), a printer and a stapler. I teamed up with the wonderful Friedia Niimura to show you some creative and easy ways to wrap your gifts this holiday season. 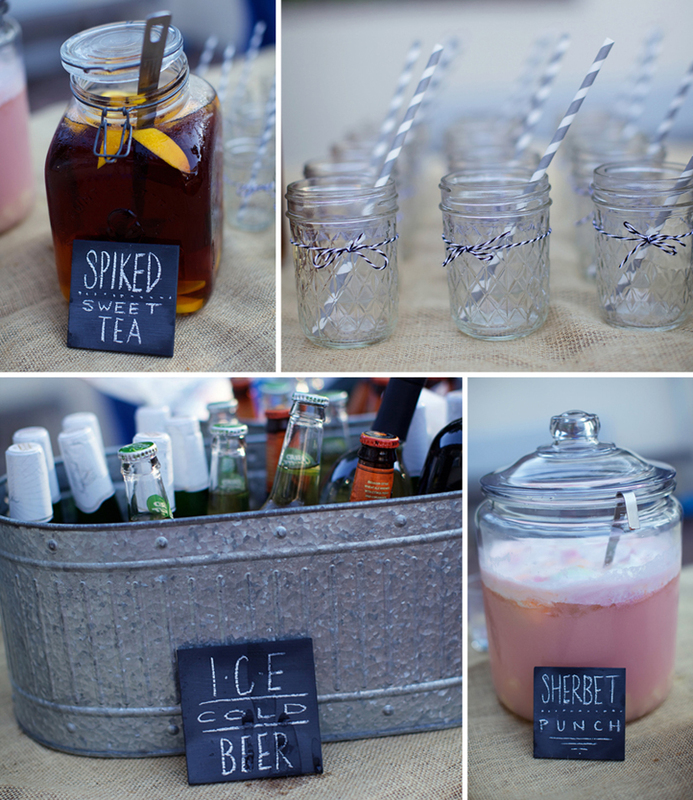 Check out the video and be sure to follow me on bloglovin for more fun ideas! !